Chinese stock market bears have sparked a sharp sell-off in some Chinese stocks due to their souring outlook on the country's growth. The Shanghai Stock Exchange Composite is up 3.5% this year. That does compare favorably to the Dow Jones Industrial Average, which is up only 0.4%, and the S&P 500 which is up only 0.3%. But it's not without an air of uncertainty. And that uncertainty is showing up in big sell-offs of certain Chinese companies and other Chinese-related investments. 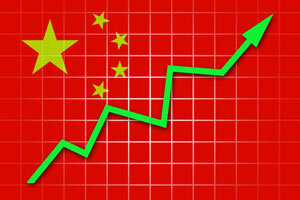 In January, it was reported that China's economy expanded 7.4% in 2014. That's down from 7.7% the year before. But it was also the weakest growth in 24 years. That combined with a number of other indicators – weaker factory production, slowing car sales – have international investors questioning whether the so-called "Chinese Economic Miracle" is losing steam. "Never bet against China," Money Morning Chief Investment Strategist Keith Fitz-Gerald said. "The only thing Western analysts calling for China's demise have been for the last 40 years is… wrong." The result has been a number of strong Chinese stocks are oversold right now – but they won't stay that way. Chinese Stock Market Play No. 1: Bitauto Holdings Ltd.
Bitauto Holdings Ltd. (NYSE ADR: BITA) stock's 52-week range is between $29 and $98.28 a share. It climbed 26.6% in the first two weeks of 2015. Then it moved up and down furiously. At yesterday's (Thursday) close it traded at $49.27 – down 45% in two months. But its troubles don't start and end with Chinese growth figures. Flagging Chinese automotive sales are delivering a blow as well. Bitauto is an online portal for car dealers to connect with potential customers. Dealers, through Bitauto services, can post listings as well as pricing and promotional information. It also offers dealers a platform to create online showrooms for their auto inventories. So, naturally, any jitters in the Chinese automotive industry are going to come down hard on Bitauto – an already volatile stock. Wednesday, the China Association of Automobile Manufacturers reported that the sale and production of cars in February was on the decline. Production and sales were down 28.7% and 31.3% respectively from January. And that number is 0.4% and 0.2% year-over-year. Additionally, growth rates for the first two months were down 5.2 and 6.5 percentage points for production and sales, respectively. These numbers fall far short of spelling doom for the Chinese automotive industry. It's still the world's largest car market and has been for close to five years now. Growth has been relentless. These numbers only prove it's slowed down a bit. It hasn't diminished the true value of Bitauto, which has a claim on two important sectors in China: cars and e-commerce. "Bitauto is the best e-commerce play on China's huge auto sector," Money Morning Defense & Tech Specialist Michael Robinson said. "It's got a seat at both sides of the table – buyers and sellers – with a very high-margin business model." Bitauto is also financially sound. It has no debt to speak of, according to a report by The Street. The company grew revenue by 71% in 2014, and profits by 101.1%. And at $49.95 – half off its 52-week high – it's a steal. Chinese Stock Market Play No. 2: Alibaba Group Holding Ltd. The travails of Alibaba Group Holding Ltd. (NYSE: BABA) are a case of Wall Street letting transient figures cloud their long-term judgment. That's good for investors who want to get in now. Alibaba is a bargain at $81.92. It's down 21.2% on the year. Earnings were a disappointment by Wall Street's standards. Recent quarterly figures revealed that Alibaba's revenue grew "only" by 40%. Those earnings explain to some extent why Alibaba stock is falling. But those numbers and China's slowdown don't erase the potential. Alibaba holds more than 80% of the market share for the country's e-commerce market, according to Trefis.com. It operates roughly as the Chinese equivalent of eBay. Though, in reality it is larger than Amazon and eBay combined. Alibaba had about 294 million average active buyers in 2014. And Trefis.com forecasts that by 2021, that will grow to 600 million – about twice that of the entire U.S. population. "99% of Western analysts and investors don't see its skyrocketing value," Money Morning's Fitz-Gerald said. "They refuse to acknowledge the power of the emerging markets." Chinese Stock Market Play No. 3: Yahoo! Inc.
Yahoo Inc. (Nasdaq: YHOO) has become a tracking stock for Alibaba. It holds a 15% stake in the Chinese e-commerce giant, and its stock moves in almost near-perfect correlation. Investors see it as a backdoor play on Alibaba. And at some point, Yahoo is going to sell off that 15% stake, currently worth about $31.8 billion. But Yahoo's biggest blessing is also proving to be its biggest curse right now. You see, after CEO Marissa Mayer stepped in the lead role in 2012, the Yahoo stock price grew as much as 200%. This is not because Mayer has successfully arrested falling revenues in Yahoo's core business. Far from it. Revenue has fallen in 10 of the last 12 quarters. Investors largely bought Yahoo because of its Alibaba stake. They jumped on it in the years leading up to Alibaba's blockbuster 2014 IPO to buy a red-hot company not yet listed on the U.S. exchange. And they stayed in it because at over $30 billion – a number which is expected to grow – shareholders are going to make out well when Mayer does sell off the stake and delivers that cash windfall back to shareholders. But this year the tables have turned. Mayer seems to be on the ball in 2015. She's boosted mobile ad sales from nothing to $758 million in revenue in 2014. She announced a tax-free spin-off of Yahoo's Alibaba stake to the pleasure of its major shareholders. By many accounts, Mayer is doing a lot right at Yahoo – at least for now. And Yahoo is worth more than its current $42.50 – down 15.9% on the year. Which is why its Alibaba-driven plunge is offering a chance to get Yahoo on the cheap ahead of an exciting tax-free spinoff. The Bottom Line: Just because China's perceived economic woes have painted Western investors bearish on the Chinese stock market doesn't mean it's dry of opportunities. Even if the growth picture is slowing down, this snag for the Chinese economy is a blip on the larger growth picture. And by using this time to capitalize on the West's poor judgments on China right now, investors can load up on some of the best Chinese-related investments at a discount.